The prosthetic work still bears the handwriting of the dental technician - only the construction that is approved by him/her is also produced in the M-Center. This is achieved by means of a perfectly coordinated system as well as by experienced and specialized dental technicians, including dental quality control, which is conducted during the production process. 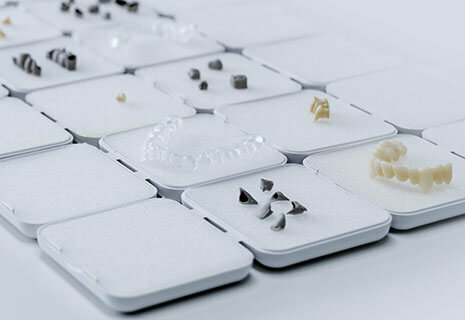 The access data to the Ceramill M-Center are available from the Amann Girrbach customer portal - Ceramill Customer Center (C3). Simply register in the C3 under the section “Customer Account” and request the M- Center access data. Uploading of the constructions to the Ceramill M- Center is then performed via the CAD software Ceramill Mind or the Ceramill Upload Tool (can be downloaded in the C3 portal). The data can quite easily be sent directly to the M-Center via the Ceramill Mind software workflow. All data in STL format can be sent to the M-Center. This is the case for software by exocad®, 3Shape® and Dental Wings®. All you require for this purpose is the Ceramill Upload Tool, which can also be downloaded from the C3 portal.